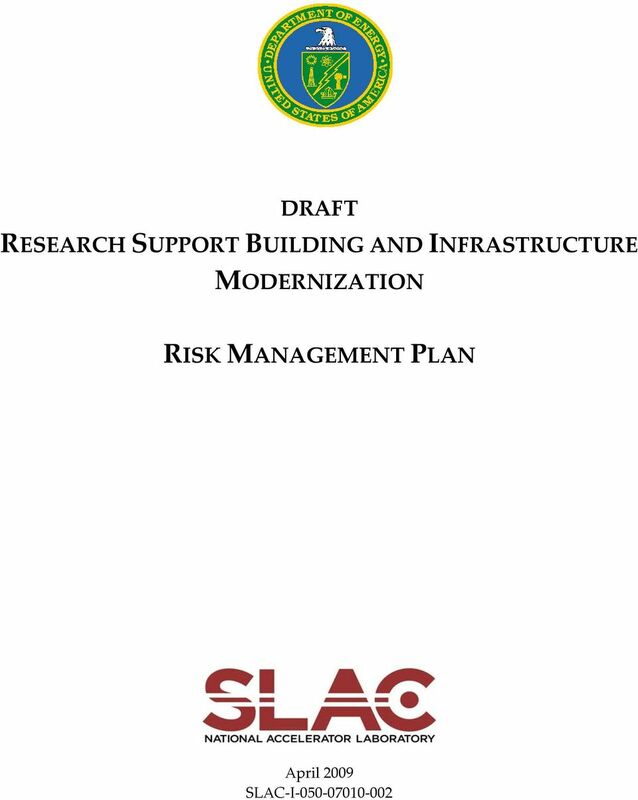 Download "DRAFT RESEARCH SUPPORT BUILDING AND INFRASTRUCTURE MODERNIZATION RISK MANAGEMENT PLAN. 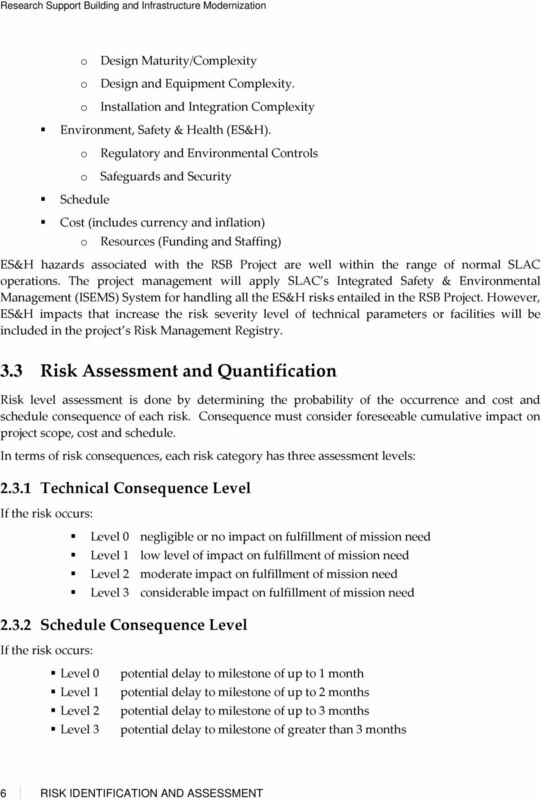 April 2009 SLAC I 050 07010 002"
17 Preliminary Project Execution Plan 5.0 Risk Tracking and Documentation 5.1 Risk Registry The RSB Risk Registry tracks and monitors the status of all project risks including each risk POC, probability and consequence of each risk (pre and post mitigation) and details on the risk control actions. 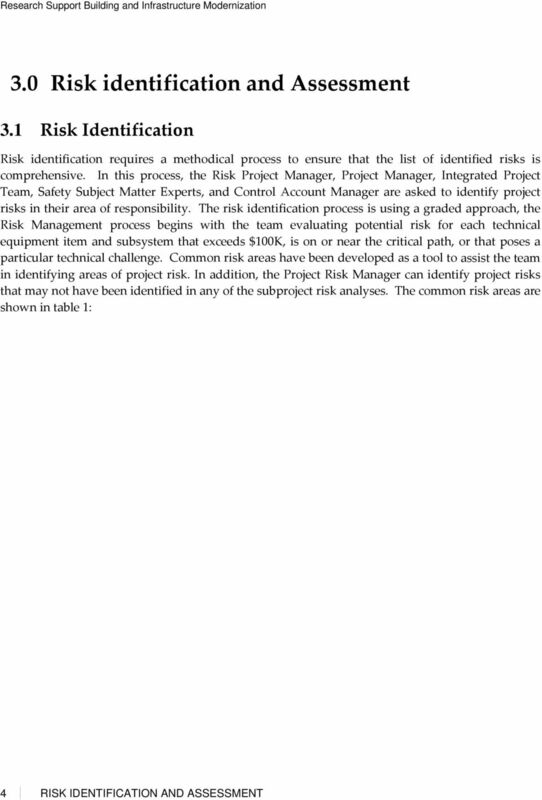 The Risk Manager is responsible for identifying and assessing of risks. 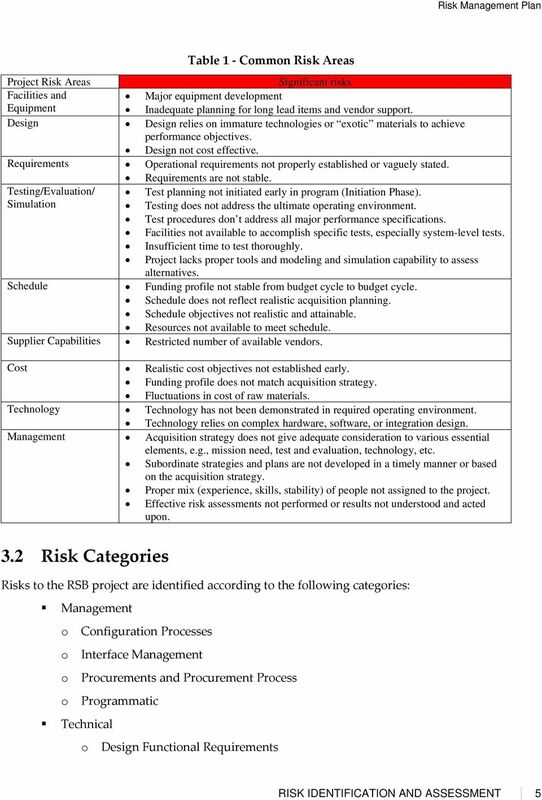 This responsibility includes providing regular re evaluation and a status update of risk entries via the RSB Project Risk Registry. 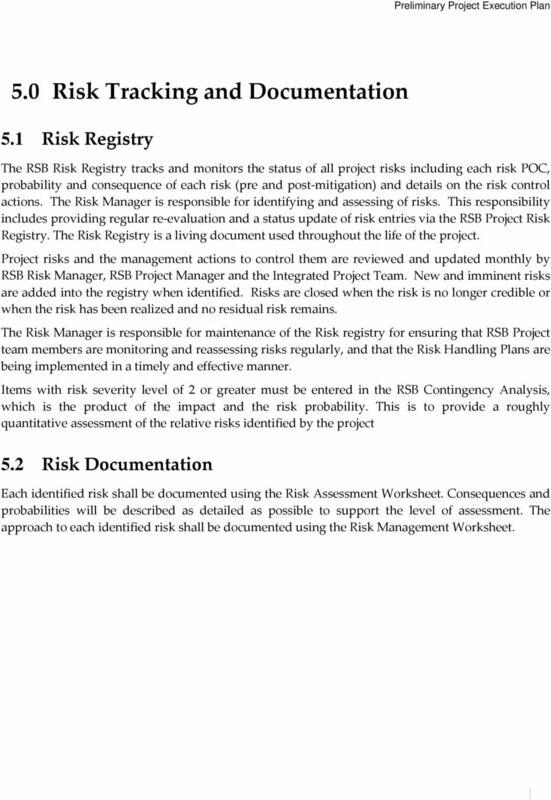 The Risk Registry is a living document used throughout the life of the project. 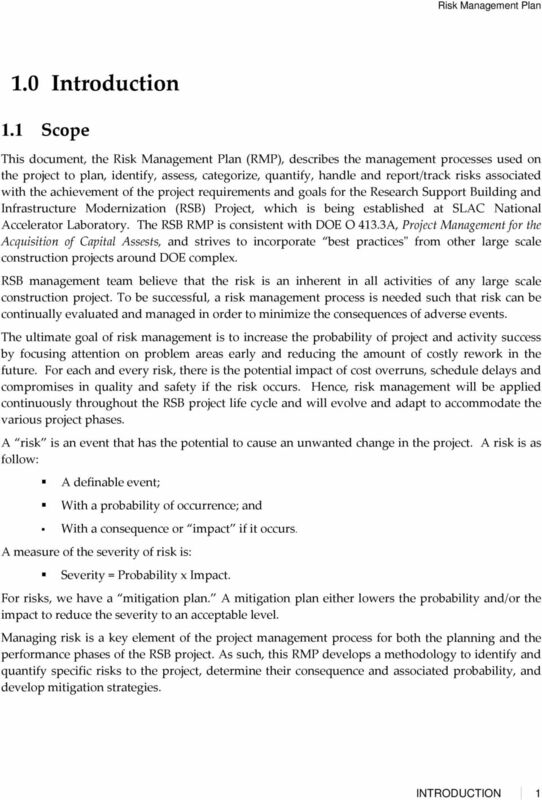 Project risks and the management actions to control them are reviewed and updated monthly by RSB Risk Manager, RSB Project Manager and the Integrated Project Team. 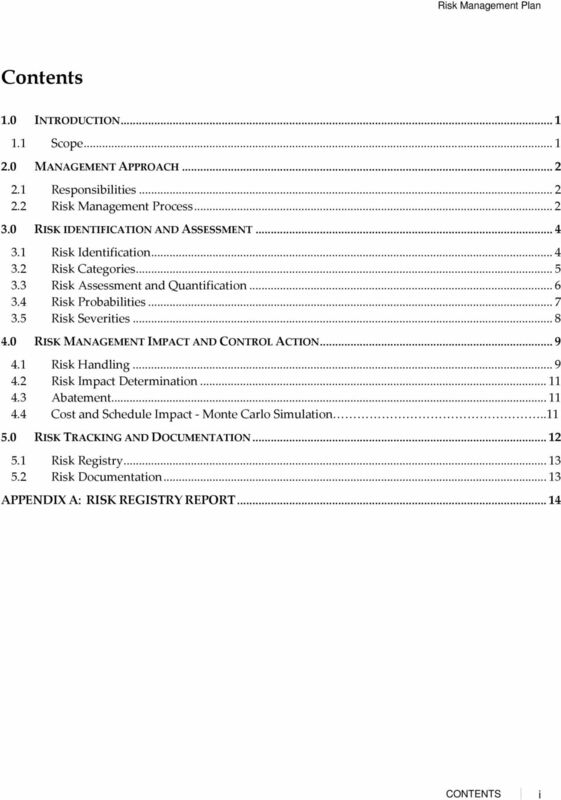 New and imminent risks are added into the registry when identified. 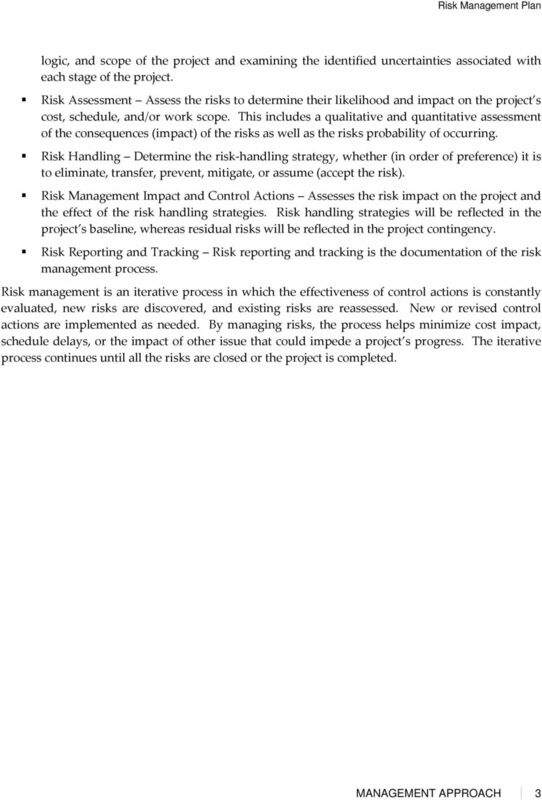 Risks are closed when the risk is no longer credible or when the risk has been realized and no residual risk remains. 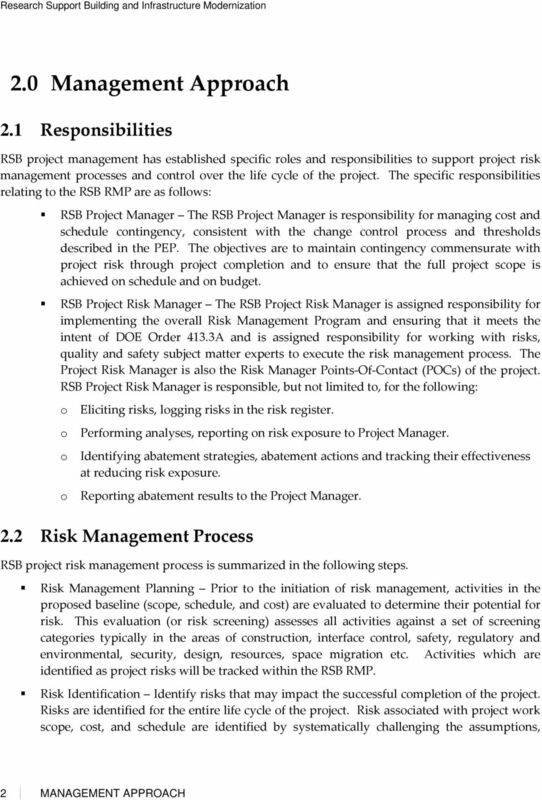 The Risk Manager is responsible for maintenance of the Risk registry for ensuring that RSB Project team members are monitoring and reassessing risks regularly, and that the Risk Handling Plans are being implemented in a timely and effective manner. 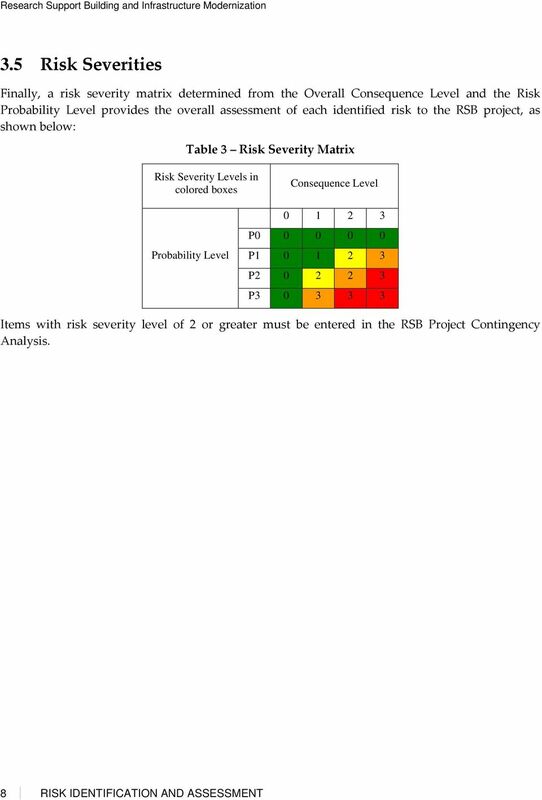 Items with risk severity level of 2 or greater must be entered in the RSB Contingency Analysis, which is the product of the impact and the risk probability. 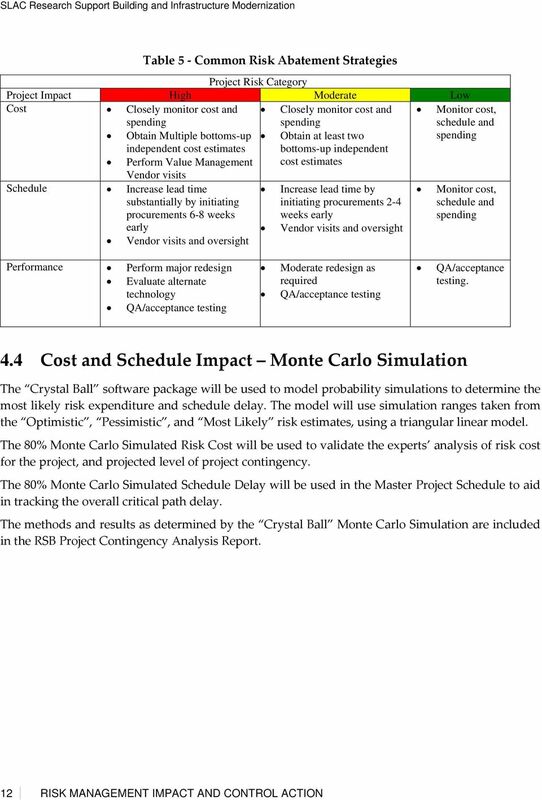 This is to provide a roughly quantitative assessment of the relative risks identified by the project 5.2 Risk Documentation Each identified risk shall be documented using the Risk Assessment Worksheet. 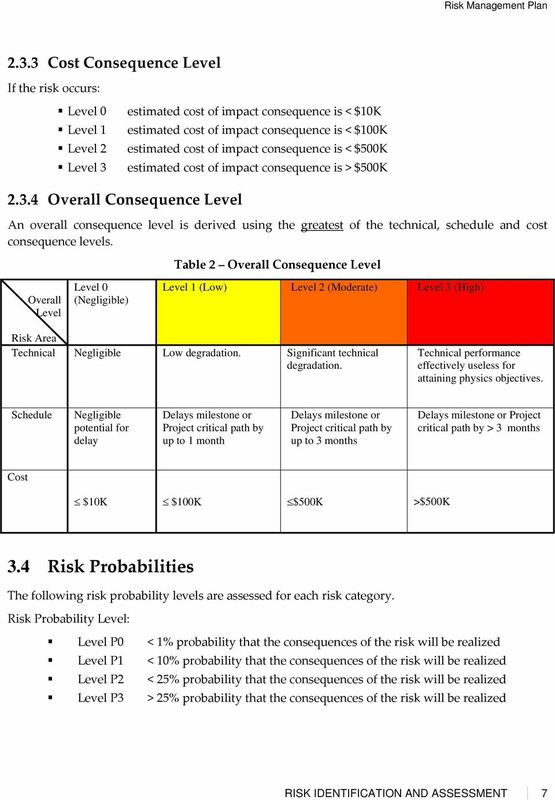 Consequences and probabilities will be described as detailed as possible to support the level of assessment. 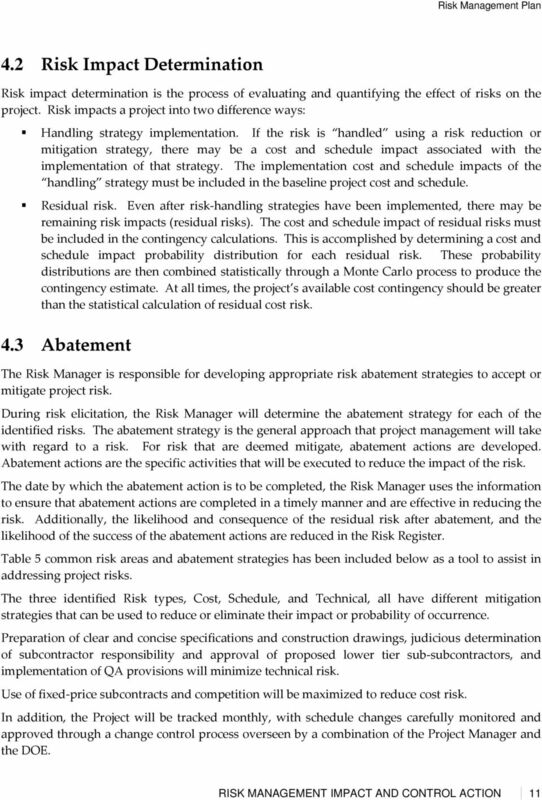 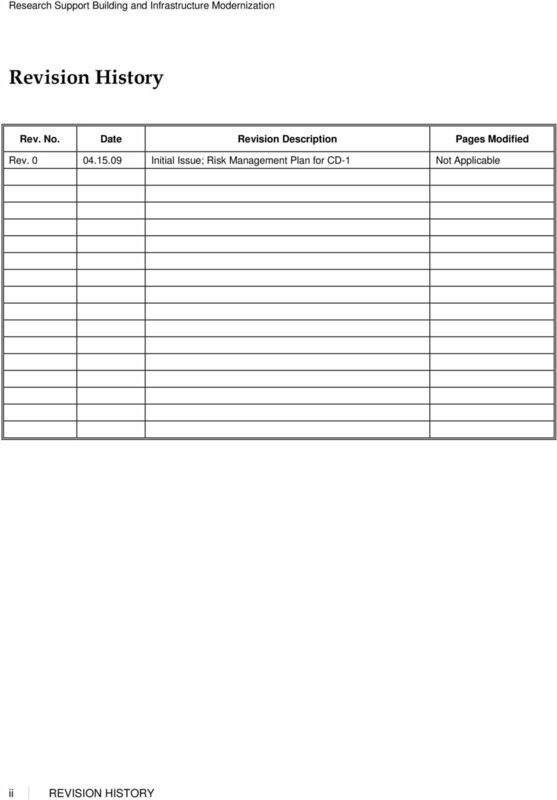 The approach to each identified risk shall be documented using the Risk Management Worksheet. 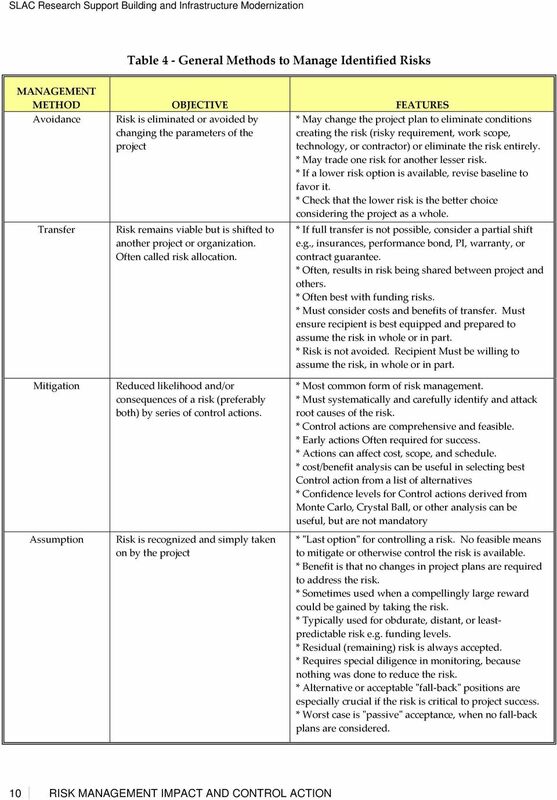 Building Business Case for the Enterprise From Vision to Outcomes IIBA Boston Sept. 20, 2012 Joseph Raynus ShareDynamics, Inc.
SERVICES. 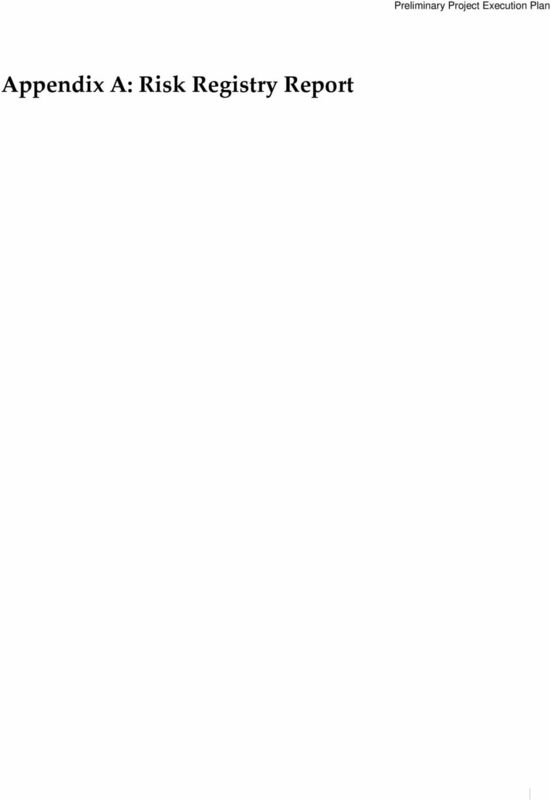 Designing, deploying and supporting world class communications solutions.